Not to be confused with Cyclosarin. Cycloserine (4-amino-3-isoxazolidinone) is an amino acid with an unusual structure. It is a colorless solid that is produced by some bacteria. It has emerged as a drug sold under the brand name Seromycin. It is an antibiotic effective against Mycobacterium tuberculosis. Since the discovery that cycloserine is able to penetrate into the central nervous system, numerous studies have been conducted to assess the efficacy of cycloserine for psychiatric disorders. It has been found to be effective in the treatment of some neurological disorders, due to its effect as a selective partial agonist of the N-methyl-D-aspartic acid (NMDA) glutamatergic receptors found in the basolateral nucleus of the amygdala. Specifically, cycloserine affects the glycine-binding sites which are important for opening these NMDA channels. Cycloserine is stable under basic conditions, with the greatest stability at pH = 11.5. Under mildly acidic conditions, cycloserine hydrolyzes to give hydroxylamine and D-serine. The name "cycloserine" is a misnomer because the compound has different atoms compared to serine, not just a different structure. Cycloserine works as an antibiotic by inhibiting cell-wall biosynthesis in bacteria. As a cyclic analogue of D-alanine, cycloserine acts against two crucial enzymes important in the cytosolic stages of peptidoglycan synthesis: alanine racemase (Alr) and D-alanine:D-alanine ligase (Ddl). The first enzyme is a pyridoxal 5'-phosphate-dependent enzyme which converts the L-alanine to the D-alanine form. The second enzyme is involved in joining two of these D-alanine residues together by catalyzing the formation of the ATP-dependent D-alanine-D-alanine dipeptide bond between the resulting D-alanine molecules. If both of these enzymes are inhibited, then D-alanine residues cannot form and previously formed D-alanine molecules cannot be joined together. This effectively leads to inhibition of peptidoglycan synthesis. The dextrorotary form of cycloserine has been investigated in numerous studies focusing on fear extinction and addictions in the human and animal model systems. D-Cycloserine, when used in conjunction with exposure-based cognitive behavior therapy, helps with fear extinction in an array of anxiety- and stress-inducing disorders. These disorders and phobias are a result of and get perpetuated through pathological fear memory. Pavlovian fear conditioning is a notable animal model to induce this form of conditioning in the laboratory and provides an avenue to examine mechanisms of learning and memory. In this conditioning model, a neutral and nonaversive stimulus such as light or tone (termed as the conditioned stimulus, CS) is paired with an aversive stimulus, such as an electrical shock to the foot (termed as the unconditioned stimulus, US). After these two stimuli are presented together a few times, the animals quickly learn to associate these stimuli together, and elicit a learned response, such as freezing or sweaty fingers (termed as the conditioned response, CR). The process of extinction (associative learning) entails unlearning this association between the CS and US, and results in a decrease in the frequency of the CR being elicited. This occurs by repeatedly presenting the CS without the US. By repeating this numerous times, the animals learn to not associate the stimuli together, which can be examined by the decrease in frequency of the CR being elicited. Similar to fear conditioning, extinction can be broken down into several categories, such as acquisition (training), consolidation, and retrieval of extinction memory. Understanding the circuitry and mechanisms of extinction has strong implications for development of novel therapeutics to be used in conjunction with exposure-based cognitive behavioral therapy for patients suffering from anxiety and stress inducing disorders. Another reason for development of pharmacological therapeutics is because a decrease in exhibition of the CR may not always be permanent since episodes of renewal can also result. Relapse of CR can also occur gradually with time, in lieu of other aversive events or with reinstatement (re-presentation) of the US. Likewise, with exposure-based cognitive therapies, an impending limitation is the high rates of relapse. For all of these reasons, there is considerable interest in the creation of pharmacological treatments to enhance extinction and reduce relapse rates. Many studies have shown the extinction process is dependent upon N-methyl-D-aspartate (NMDA) receptors in the basolateral amygdala (BLA). D-Cycloserine (DCS) is a partial agonist of the NMDA receptor, where it increases excitatory NMDA neurotransmission by binding to the glycine-binding sites. DCS has been shown to enhance extinction retention in rats. It enhances fear extinction during within-sessions which suggests that DCS facilitates the learning aspect of extinction. Though DCS has been shown to reduce some occurrences of relapse and reinstatement in humans and rats, it does not seem to prevent renewal. Nevertheless, considerable interest exists in employing DCS as a treatment for psychiatric disorders, due to its beneficial therapeutic effects in several studies which have employed DCS for anxiety disorders, acrophobia, post-traumatic stress disorder, obsessive-compulsive disorder, and panic disorders. Glutamate is a major excitatory neurotransmitter in the mammalian central nervous system. One of the ionotropic receptors which glutamate activates is the NMDA receptor. NMDA glutamatergic receptors are tetrameric, consisting of two NR1 subunits (which bind glycine) and two NR2 subunits (which bind glutamate). These receptors are important for synaptic plasticity and development processes in the brain. D-Cycloserine acts as a partial agonist at NMDA receptors with NR2A, NR2B, NR2C, or NR2D subunits. DCS has lower efficacy than the endogenous agonists glycine or D-serine at the NR1/NR2A, NR1/NR2B and NR1/NR2D receptors. However, at the NR1/NR2C receptors, DCS has higher efficacy than endogenous glycine or D-serine. The efficacy of glycine agonists is hypothesized to entail the differential communication between the NR2 subtypes and the NR1 receptors. This is because residues of the NR1 domain may interact differently with the NR2 domain subtypes, especially during instances of intra-protein conformational changes at the dimer interface. This differential dimer interface interaction may explain why DCS has a higher relative efficacy than the endogenous agonists glycine or D-serine at NR1/NR2C receptors. Likewise, recordings performed with a continuous saturating concentration of the endogenous agonists glycine and glutamate have also shown that DCS decreases efficiency of gating by slowing forward rate constant preceding rapid pore openings. These psychotropic responses are related to D-cycloserine's action as a partial agonist of the neuronal NMDA receptor for glutamate and have been examined in implications with sensory-related fear extinction in the amygdala, and extinction of cocaine seeking in the nucleus accumbens. Typically, exposure therapy is employed as a psychotherapy to help patients suffering from social anxiety disorder. Nevertheless, many patients still exude symptoms even after therapy. To help such patients, in 2006, a study found that when 50 mg of DCS was administered an hour prior to exposure-based cognitive behavior therapy (CBT) sessions, it resulted in a much higher anxiety reduction as compared to the administration of a placebo with CBT. Additionally, the researchers also found that when DCS was given with exposure-based CBT for social performance situations such as public speaking, this also resulted in reduction of social anxiety. Cocaine addictions result in drug-seeking and drug-taking behaviors. These behaviors can be explained by the incentive sensitisation theory of addiction, in which constant drug use elicits drug-seeking behaviors due to associative learning processes which occur through Pavlovian conditioning. During this time, drug cues gain 'motivational salience' due to sensitisation of the dopaminergic transmission in the nucleus accumbens/ventral striatal reward pathway. Gradually, this culminates in drug cues taking over attentional processes and results in cravings, drug-seeking, and relapse. A notable instance of this can be seen with cocaine addictions, which arise from pairing cocaine use with the external cues which results in conditioning and memory consolidation. The conditioned responses are cravings and relapse. Although cue exposure (extinction) therapy is currently being employed to help patients counter the motivation for drug-seeking and drug-taking behaviors, this therapy is not effective consistently, possibly due to its context-dependency, as well as reliance on sound memory systems for extinction learning (which are possibly impaired with sustained cocaine use). Plus, no promising pharmaceuticals are available for treating drug addictions in the market currently, and since cocaine addiction is a major problem in modern society, creating better therapeutics is imperative to reverse this problem. As a result, considerable interest in using DCS exists, which has already been found to help with fear extinction in various animal, as well as human, model systems. Extinction of drug addiction is analogous to extinction of fear, in which active learning processes are involved. In particular, animal studies have shown that NMDA receptors are notably important for acquisition and consolidation of cocaine-cue associations in addition to extinction and reconsolidation. Studies employing various animal model systems to assess the efficacy of DCS in treatment of cocaine addictions have yielded mixed results. For instance, a study in 2009 found that DCS administration two hours prior to each extinction session acutely increased cravings and susceptibility to cocaine cues in cocaine-dependant persons by stimulation of glutamatergic systems. However, in 2010, another study found that taking DCS prior to the extinction training lead to reacquisition of cocaine self-administration in rats and monkeys through augmentation of consolidation of extinction learning. This study also found that DCS was effective only when used administered in conjunction with explicit extinction therapy. More studies must be conducted to reconcile and substantiate these findings. A similar type of discrepancy is also seen in studies examining the efficacy of DCS on facilitating extinction in participants with nicotine addictions in conjunction with cue exposure therapy. Researchers conducting a study in 2009 hypothesized that when nicotine-dependent persons receive DCS in conjunction with cue exposure therapy, they would exhibit a reduced skin conductance response in comparison to the participants receiving a placebo with cue exposure therapy. Their data suggested, when DCS was administered with cue exposure therapy one hour prior to each of the two 4.5-h experimental sessions, the participants indeed had a lower skin conductance response. Participants receiving the DCS also expressed a reduced urge to smoke in that study, although the evidence did not indicate a change in their smoking behavior. However, another study, conducted in 2011, found thee administration of DCS reduced nicotine self-administration in rats with lower baselines levels of response, but was actually detrimental for rats with higher baseline levels. They found that chronic administration of DCS at 40 mg/kg was effective in creating these responses, implying NMDA receptors may potentially be implicated in individuals who are trying to quit smoking. The levorotary version of the drug, L-cycloserine, has been shown to irreversibly inhibit GABA pyridoxal 5′-phosphate-dependent aminitransferase in E. coli, as well in the brains of various animals, such as pigs, cats, and monkeys in a time-dependent manner. This results in increased levels of gamma-aminobutyric acid (GABA), an inhibitory neurotransmitter in vivo, since its breakdown is halted by the inhibition of GABA transaminase. Small doses of LCS have been suggested to reduce hyperexcitability in the brain in acutely treated and subchronically treated animals through GABAnergic inhibition. Furthermore, peak effects of this inhibition can be seen 3-4 hr after a single intraperitoneal injection. LCS has also been implicated in moderately increasing alanine levels and slightly decreasing aspartate, glutamate, and glycine levels in the brain. Small doses of LCS have been shown to reduce levels of cGMP in rat cerebella, whereas small doses administered to cats attentuated the hypothalamically elicited rage reaction. Larger doses of LCS impaired performance of mice in various tests, such as the rotarod, chimney, and horizontal wire tests. In rats, the larger doses resulted in reduction of spontaneous locomotor activity. The compound was first isolated nearly simultaneously by two teams. Workers at Merck isolated the compound, which they called oxamycin, from a species of Streptomyces. The same team prepared the molecule synthetically. Workers at Eli Lilly isolated the compound from strains of Streptomyces orchidaceus. It was shown to hydrolyze to serine and hydroxylamine. ^ a b Nitsche, Michael; Jaussi, W.; Liebetanz, D.; Lang, N.; Tergau, F.; Paulus, W. (2004). "Consolidation of human motor cortical neuroplasticity by D-cycloserine". Neuropsychopharmacology 29 (8): 1573–1578. doi:10.1038/sj.npp.1300517. PMID 15199378. ^ a b c d e Hofmann, Stefan (2006). "Augmentation of Exposure Therapy With D-Cycloserine for Social Anxiety Disorder". Archives Of General Psychiatry 63 (3): 298–304. doi:10.1001/archpsyc.63.3.298. PMID 16520435. ^ a b Kaushal, Gagan; Ronaldo Ramirez; Demelash Alambo; Wacharah Taupradist; Krunal Choksi; Cristian Sirbu (October 2011). "Initial characterization of D-cycloserine for future formulation development for anxiety disorders". Drug Discoveries & Therapeutics 5 (5): 253–260. doi:10.5582/ddt.2011.v5.5.253. PMID 22466372. ^ a b c Silverman, Richard (1998). "An Aromatization Mechanism of Inactivation of γ-Aminobutyric Acid Aminotransferase for the Antibiotic l-Cycloserine". Journal of the American Chemical Society 120 (10): 2256–2267. doi:10.1021/ja972907b. ^ a b "CYCLOSERINE: Human Health Effects". National Institutes of Health. ^ Lambert, M. P. (1972). "Mechanism of D-cycloserine action: Alanine racemase from Escherichia coli W". Journal of bacteriology 110 (3): 978–987. PMC 247518. PMID 4555420. ^ a b c d e f Prosser, Gareth; de Carvalho, Luiz Pedro S. (February 2013). "Kinetic mechanism and inhibition of Mycobacterium tuberculosis d-alanine: D-alanine ligase by the antibiotic d-cycloserine". FEBS Journal 280 (4): 1150–1166. doi:10.1111/febs.12108. PMID 23286234. ^ a b c d e f g h i j k l m n o p q r s t Ren, Jintao; Xiaobai Li; Xinxin Zhang; Min Li; Yan Wang; Yuchao Ma (July 2013). "The effects of intra-hippocampal microinfusion of d-cycloserine on fear extinction, and the expression of NMDA receptor subunit NR2B and neurogenesis in the hippocampus in rats". Progress In Neuro-Psychopharmacology And Biological Psychiatry 44: 257–264. doi:10.1016/j.pnpbp.2013.02.017. PMID 23523746. ^ a b c d e f g h i j k l m n o p q r s t Baker, Kathryn; Gavan P. McNally; Rick Richardson (October 2012). "D-cycloserine does not facilitate fear extinction by reducing conditioned stimulus processing or promoting conditioned inhibition to contextual cues". Learning & Memory 19 (10): 461–469. doi:10.1101/lm.026674.112. PMID 22984284. ^ a b c d e f g h i j Dravid, Shashank; Pieter B. Burger; Anand Prakash; Matthew T. Geballe; Roopali Yadav; Phuong Le; Kimberly Vellano; James P. Snyder; Stephen F. Traynelis (February 2010). "Structural determinants of D-cycloserine efficacy at the NR1/ NR2C NMDA receptors". The Journal Of Neuroscience: The Official Journal Of The Society For Neuroscience 30 (7): 2741–2754. doi:10.1523/JNEUROSCI.5390-09.2010. PMID 20164358. ^ Walker, D. L.; Ressler, K. J.; Lu, K. T.; Davis, M. (2002). "Facilitation of conditioned fear extinction by systemic administration or intra-amygdala infusions of D-cycloserine as assessed with fear-potentiated startle in rats". The Journal of neuroscience : the official journal of the Society for Neuroscience 22 (6): 2343–2351. PMID 11896173. ^ Torregrossa, M. M.; Sanchez, H.; Taylor, J. R. (2010). "D-Cycloserine Reduces the Context Specificity of Pavlovian Extinction of Cocaine Cues through Actions in the Nucleus Accumbens". Journal of Neuroscience 30 (31): 10526–10533. doi:10.1523/JNEUROSCI.2523-10.2010. PMC 2918879. PMID 20685995. ^ a b c d e f g h i Dhonnchadha, Brid; Szalay, Jonathan J; Achat-Mendes, Cindy; Platt, Donna M; Otto, Michael W; Spealman, Roger D; Kantak, Kathleen M (January 2010). "D-cycloserine Deters Reacquisition of Cocaine Self-Administration by Augmenting Extinction Learning". Neuropsychopharmacology: Official Publication Of The American College Of Neuropsychopharmacology 35 (2): 357–367. doi:10.1038/npp.2009.139. PMC 2928163. PMID 19741593. ^ a b c Kamboj, Sanjeev; Joye, Alyssa; Das, Ravi K.; Gibson, Andrew J. W.; Morgan, Celia J. A.; Curran, H. Valerie (May 2012). "Cue exposure and response prevention with heavy smokers: A laboratory-based randomised placebo-controlled trial examining the effects of D-cycloserine on cue reactivity and attentional bias". Psychopharmacology 221 (2): 273–284. doi:10.1007/s00213-011-2571-2. PMID 22101394. ^ Price, Kimber; McRae-Clark, Aimee L.; Saladin, Michael E.; Moran-Santa Maria, Megan M.; DeSantis, Stacia M.; Back, Sudie E.; Brady, Kathleen T. (November 2009). "D-Cycloserine and Cocaine Cue Reactivity: Preliminary Findings". American Journal Of Drug & Alcohol Abuse 35 (6): 434–438. doi:10.3109/00952990903384332. PMID 20014913. ^ a b c d Santa-Anna, Elizabeth; Bruce J. Rounsavillea; Tami L. Frankforter; Charla Nich; Theresa Babuscio; James Polinga; Kishorchandra Gonsaia; Kevin P. Hill; Kathleen M. Carroll (October 2009). "d-Cycloserine attenuates reactivity to smoking cues in nicotine dependent smokers: A pilot investigation". Drug And Alcohol Dependence 104 (3): 220–227. doi:10.1016/j.drugalcdep.2009.04.023. PMID 19592176. ^ Levin, Edward; Susan Slade; Corinne Wells; Ann Petro; Jed E. Rose (2011). "D-cycloserine selectively decreases nicotine self-administration in rats with low baseline levels of response". Pharmacology Biochemistry And Behavior 98 (2): 210–214. doi:10.1016/j.pbb.2010.12.023. PMID 21192967. ^ Polc, P.; Pieri, L.; Bonetti, E. P.; Scherschlicht, R.; Moehler, H.; Kettler, R.; Burkard, W.; Haefely, W. (1986). "L-cycloserine: Behavioural and biochemical effects after single and repeated administration to mice, rats and cats". Neuropharmacology 25 (4): 411–418. doi:10.1016/0028-3908(86)90236-4. PMID 3012401. ^ a b c d e f Polc, P.; Pieri, L.; Bonetti, E.P. ; Scherschlicht, R.; Moehler, H.; Kettler, R.; Burkard, W.; Haefely, W. (April 1986). "Behavioural and biochemical effects after single and repeated administration to mice, rats and cats". Neuropharmacology 25 (4): 411–8. doi:10.1016/0028-3908(86)90236-4. PMID 3012401. Resveratrol induced ER expansion and ER caspase-mediated apoptosis in human nasopharyngeal carcinoma cells. Chow SE1, Kao CH, Liu YT, Cheng ML, Yang YW, Huang YK, Hsu CC, Wang JS.Author information 1Department of Nature Science Center for General Studies, Chang Gung University, Taoyuan, Taiwan, chowse@mail.cgu.edu.tw.AbstractAutophagy and endoplasmic reticulum (ER) stress response is important for cancer cells to maintain malignancy and resistance to therapy. trans-Resveratrol (RSV), a non-flavonoid agent, has been shown to induce apoptosis in human nasopharyngeal carcinoma (NPC) cells. In this study, the involvements of tumor-specific ER stress and autophagy in the RSV-mediated apoptosis were investigated. In addition to traditional autophagosomes, the images of transmission electron microscopy (TEM) indicated that RSV markedly induced larger, crescent-shaped vacuoles with single-layered membranes whose the expanded cisternae contains multi-lamellar membrane structures. Prolonged exposure to RSV induced a massive accumulation of ER expansion. Using an EGFP-LC3B transfection and confocal laser microscopy approach, we found RSV-induced EGFP-LC3 puncta co-localized with ER-tracker red dye, implicating the involvement of LC3II in ER expansion. The proapoptotic effect of RSV was enhanced after suppression of autophagy by ATG7 siRNA or blocking the autophagic flux by bafilomycin A1, but that was not changed after targeted silence of IRE1 or CHOP by siRNA. Using caspase inhibitors, we demonstrated the upregulation of caspase-12 (casp12) and the activation of casp4 were associated with the proapoptotic induction of RSV through the caspase-9/caspase-3 pathway. Intriguingly, siRNA knockdown of casp12, but not caspase-4, decreased the susceptibility of the NPC cells to RSV-mediated apoptosis. Further, we showed that RSV dose-dependently increased the ceramide accumulation as assessed by LC-MS/MS system. Using serine palmitoyltransferase (SPT, a key enzyme of de novo ceramide biosynthesis) inhibitors (L-cycloserine and myriocin), we found the increased ceramide accumulation was strongly correlated with the proapoptotic potential of RSV. This study revealed the ER expansion and upregulation of ER casp12 together may indicate profound biological effects of RSV and contributed to NPC cell death. Targeting the different status of ER stress may provide a possible strategy for cancer treatments. Apoptosis : an international journal on programmed cell death.Apoptosis.2014 Mar;19(3):527-41. doi: 10.1007/s10495-013-0945-0. The role of the medial prefrontal cortex in regulating social familiarity-induced anxiolysis. Lungwitz EA1, Stuber GD2, Johnson PL3, Dietrich AD4, Schartz N4, Hanrahan B4, Shekhar A5, Truitt WA3.Author information 11] Graduate Program in Medical Neuroscience, Indiana University School of Medicine, Indianapolis, IN, USA  Stark Neurosciences Research Institute, Indiana University School of Medicine, Indianapolis, IN, USA.2Departments of Psychiatry & Cell Biology and Physiology; UNC Neuroscience Center and Bowles Center for Alcohol Studies, University of North Carolina at Chapel Hill, NC, USA.31] Stark Neurosciences Research Institute, Indiana University School of Medicine, Indianapolis, IN, USA  Department of Anatomy and Cellular Biology, Indiana University School of Medicine, Indianapolis, IN, USA  Department of Psychiatry, Institute of Psychiatric Research, Indiana University School of Medicine, Indianapolis, IN, USA.4Department of Anatomy and Cellular Biology, Indiana University School of Medicine, Indianapolis, IN, USA.51] Stark Neurosciences Research Institute, Indiana University School of Medicine, Indianapolis, IN, USA  Department of Psychiatry, Institute of Psychiatric Research, Indiana University School of Medicine, Indianapolis, IN, USA  Indiana Clinical and Translational Sciences Institute, Indiana University School of Medicine, Indianapolis, IN, USA.AbstractOvercoming specific fears and subsequent anxiety can be greatly enhanced by the presence of familiar social partners, but the neural circuitry that controls this phenomenon remains unclear. To overcome this, the social interaction (SI) habituation test was developed in this lab to systematically investigate the effects of social familiarity on anxiety-like behavior in rats. Here, we show that social familiarity selectively reduced anxiety-like behaviors induced by an ethological anxiogenic stimulus. The anxiolytic effect of social familiarity could be elicited over multiple training sessions and was specific to both the presence of the anxiogenic stimulus and the familiar social partner. In addition, socially familiar conspecifics served as a safety signal, as anxiety-like responses returned in the absence of the familiar partner. The expression of the social familiarity-induced anxiolysis (SFiA) appears dependent on the prefrontal cortex (PFC), an area associated with cortical regulation of fear and anxiety behaviors. Inhibition of the PFC, with bilateral injections of the GABAA agonist muscimol, selectively blocked the expression of SFiA while having no effect on SI with a novel partner. Finally, the effect of D-cycloserine, a cognitive enhancer that clinically enhances behavioral treatments for anxiety, was investigated with SFiA. 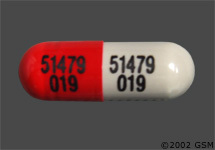 D-cycloserine, when paired with familiarity training sessions, selectively enhanced the rate at which SFiA was acquired. Collectively, these outcomes suggest that the PFC has a pivotal role in SFiA, a complex behavior involving the integration of social cues of familiarity with contextual and emotional information to regulate anxiety-like behavior. Neuropsychopharmacology : official publication of the American College of Neuropsychopharmacology.Neuropsychopharmacology.2014 Mar;39(4):1009-19. doi: 10.1038/npp.2013.302. Epub 2013 Oct 25. Design, Synthesis and Antimycobacterial Activity of Some New Pyridazine Derivatives: Bis-Pyridazine. Part IV12-14. Mantu D, Antoci V, Mangalagiu II1.Author information 1Al. I. Cuza" University of Iasi, Faculty of Chemistry, Bd. Carol 11, 700506 Iasi, Romania. ionelm@uaic.ro.AbstractThe design, synthesis, structure and the antimycobacterial activities of a new class of nitrogen heterocycles, namely N1-substituted-diphenyl ether-bis-pyridazine (BP), is presented. An efficient, facile and straight applicable method for preparation of BP derivatives is described. The primary cycle high throughput screening reveals that two BP compounds, 2a and 3b, are potent inhibitors against Mycobacterium tuberculosis (Mtb), their antitubercular activity being superior to the second-line antitubercular drug Pyrimethamine and equal to Cycloserine. The data from cycle-2 screening confirm the results from cycle-1.The MIC, MBC, LORA, intracellular (macrophage) drug screening, and MTT cell proliferation, indicate the intracellular drug effectiveness against Mtb of these compounds, the lack of toxicity, a significant activity against both replicating and non-replicating Mtb and, a bactericidal mechanism of action (for 2b). SAR correlations have been done. Overall, the BP derivatives and especially compound 2b, appeared as a new leading antitubercular structure, which makes it a promising lead for further drug development.